What is it like to Nagomi Visit as a big family with 4 kids? 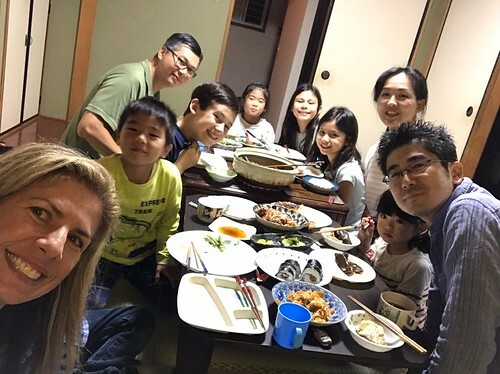 A big family of 6 from the US Nagomi Visited one of our hosts in Chiba Prefecture, part of the greater Tokyo area. With 4 kids of the ages 4, 8, 10, and 11, they wanted to meet another family with children about the same ages. The host they met has 3 kids of the ages 4, 8, and 9. Their host requested to meet a little early around 3PM instead of the usual 6PM because one of their kids is still a bit too young to stay up too late so the Nagomi fun started a little earlier. When you decided to book a Nagomi Visit how did the other members of your family react? Were they excited? Worried? When I booked the nagomi visit, everyone was very excited. No one was nervous or scared. Sawako also made the visit stress free for us by meeting us at the train station and walking us back as well. How long did it take for your kids to warm up to the host's home and family? If so, how did they interact with the hosts? Our children were comfortable with the host’s home and children in a matter of minutes. They could not communicate verbally, but they had fun folding origami together and engaging in physical humor. Did your kids enjoy any part of the meal the host made? Our kids did not recognize some of the food, and thus avoided about half of the offerings. However, everybody was able to find plenty to eat. I would not want the host to attempt to serve more American style food as that would detract from the purpose of the visit, which I see is a sharing of cultures. What was the Nagomi experience like as a parent with your kids? The nagomi experience was wonderful. We will certainly do it again when we return to Japan. We also have maintained contact with the family and are friends. They are welcoming, kind, and generous. We will certainly visit with them again. As a parent, I was amazed at how well the children got along and played together. Did having your kids help foster conversation or help you notice things you may have not if you went with just adults? Watching the kids interact was fun, but I’m not sure if the children’s presence enhanced my ability to appreciate the visit or not. 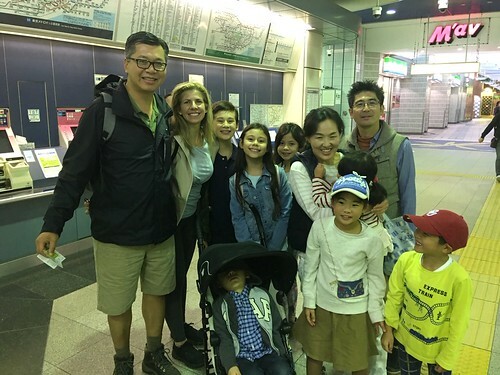 Was participating in a Nagomi Visit different from other travel activities with your kids. Was it more relaxing since you are in a home with similar age kids and toys? Or did it make you nervous? The activity was very different than any other activity we did on our trip, but was perhaps the most special. We enjoy meeting people, and we admire Japanese culture. So, being able to spend time with a Japanese family was an amazing opportunity for our family. I think our children would have also enjoyed spending a half day in a Japanese school. Ready to go on a Nagomi Visit? Start booking here. Need tips or advice? Read Tips for going on a Nagomi Visit with young kids or ask the Nagomi Visit Team!